As Britain emerges from the economic downturn, a number of families are aiming to move to bigger properties, new research from the National Association of Estate Agents claims. Over 75% of members reported interest in moving house, particularly to move to a larger home or living space. The desire for more spacious property is seem as supporting evidence to Britain’s improving economy. A number of removals firms have seen increased business, as many UK families move from low-end properties to permanent homes, aiming to make up for cost-saving actions taken during the recession. 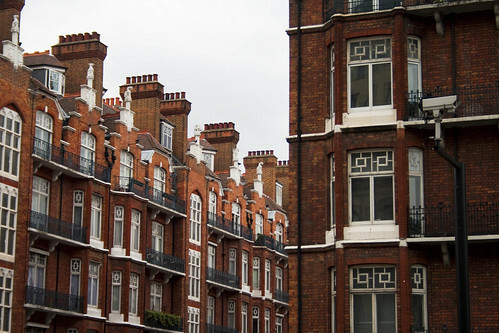 While the property market is still cursed with faults and a large degree of risk, Britain’s residents are growing increasingly more confident in their financial abilities and are considering moving house at greater levels. The desire for larger homes trumps other moving-related reasons. In second place was divorce, while career-related home removals were in third place with over a quarter of participants interested. As telecommuting and home-based work agreements become more popular in the UK – both as a lifestyle option and a cost-cutting strategy for businesses – larger homes are growing more desirable. However, many UK residents are still unable to afford new property, despite the recent economic recovery. The effects of the credit crunch are still very visible, and with many of Britain’s ex-high earners struggling to cope with bad debt, the declaration of ‘mass home moving’ might be best reserved for the future.